All you yoga lovers: YOU know that it is important to have a good mat to stretch out on. And WE know that you have a big and giving heart. So, why not combine these two? WovnBranch is new company that wants to tackle a global health epidemic that kills more than 600,000 people a year, Malaria. 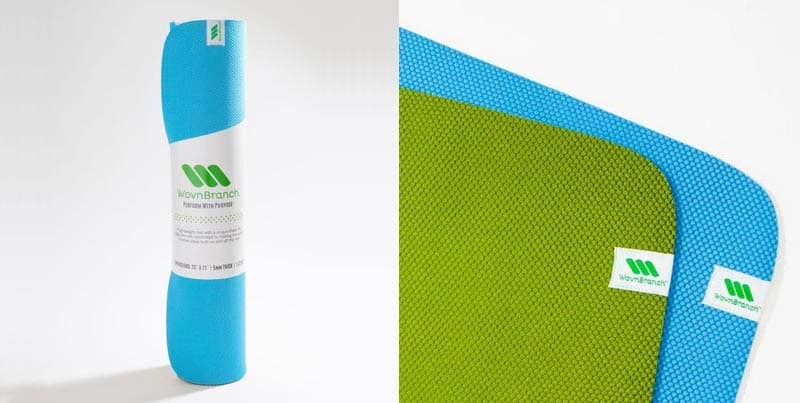 WovnBranch has designed the ideal lightweight, high-performance yoga mat, and for every mat purchased they will donate one anti-malaria net to families in Sub-Saharan Africa. Malaria can be spread by a single mosquito bite, and insecticide-treated bed nets provide families with a simple cost-effective solution to protect against malaria. WovnBranch is partnered with Nothing But Nets/UN Foundation, who help transport the nets for distribution. Health workers will then educate recipients to ensure the nets are used consistently and correctly. Then, community partners will stick around to ensure the mats are working as intended. So, when you’re looking for a new mat, why not look to help someone as well? Mats available online from Wovnbranch.